This is my review of the American Express Rewards credit card (ARCC). 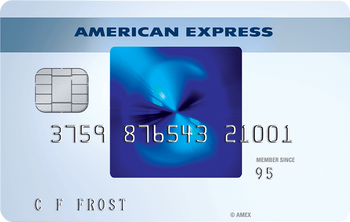 The American Express Rewards credit card is issued directly by American Express. It is the newest member of the Amex UK card portfolio, launched in Autumn 2017. There are three versions, each of which comes with different features. All three versions are free and all earn Membership Rewards points on your spending. This is an excellent card for anyone who currently has an Amex Gold or The Platinum Card and is thinking of cancelling it due to the annual fee. Whilst you wouldn’t qualify for a sign-up bonus, getting a free American Express Rewards card would keep your Membership Rewards points alive. If you don’t do this, you would need to spend or transfer all of your Membership Rewards points before closing your Gold or Platinum card. What is the Amex Rewards sign-up bonus? American Express Rewards offers a sign-up bonus on two of the three versions of the card. The LOW RATE version offers 2,500 Membership Rewards points when you spend £1,000 within three months. The BASIC version offers 5,000 Membership Rewards points when you spend £2,000 within three months. Membership Rewards points can be converted 1 to 1 into Avios. Click here to see what other reward programmes are Membership Rewards transfer partners. This means that you can receive 5,000 Avios points for free by applying for the Basic version of the Amex Rewards card, spending enough to trigger the sign-up bonus and then transferring the points to British Airways. The bonus is only available to customers who have not held a personal or small business American Express card in the previous 24 months. Cards issued by MBNA or Lloyds Bank do not count. If you do not qualify for the bonus, you can still apply. What is the Amex Rewards annual fee? There is no fee for any version of the American Express Rewards credit card. You receive 1 Membership Rewards point per £1 spent on the card. Unlike Amex Preferred Rewards Gold, there is no bonus for foreign spend or airline spend. Anything from ‘not a lot’ to ‘a lot’ is the answer! I wrote this lengthy article on the subject here. If you redeem your points for, say, an Amazon gift card then you will receive around 0.5p per point. This is a poor return compared to a typical cashback card or the value of an airline mile if used sensibly. Some of the hotel programmes also offer good value. Radisson Rewards (the Radisson, Park Plaza and Park Inn scheme) transfers at 1:3 from Membership Rewards, for example. Their top five-star hotels generally cost 70,000 points per night which would be just over 23,000 Membership Rewards points. This would usually get you over 1p per point of value. The other hotel partners are Hilton Honors and Marriott Bonvoy. Is Amex Rewards a good card to use when travelling? The American Express Rewards credit card is, in itself, a decent deal. However, for one year, it would make more sense to take out the American Express Preferred Rewards Gold credit card which I review here. This has a far bigger sign-up bonus of 10,000 Membership Rewards points which is the most generous incentive available on a free UK charge or credit card. You also receive two FREE airport lounge passes. When your free year is up, you could switch to an American Express Rewards credit card. For day to day spending, 1 point per £1 is an acceptable but not outstanding return. The application forms for the American Express Rewards credit card can be found here (Basic, 5000 points), here (Low Rate, 2500 points bonus) and here (Purchases, no bonus but 18 months interest free credit). Are Amex referrals capped per calendar year or card year? Thx. And is it per card? So assuming I have Platinum (maxed out at 90k for referrals) could I still get 5 referrals on the BA card too? Yes. Per account is probably a better description (ie one for MR, one for avios etc). It’s 90k MRs max on Amex Plat / Gold (so 5 referrals from plat) and 90k avios on an avios card account (so 10 referrals from BAPP, for example). All these answers are in the T&Cs. Is it now 90k new Marriotts max on the SPG card now (down from 90k SPGs = 270 Marriotts)? Bad idea anyway as only 9k new Marriotts per referral? There are repeated refs in Rob’s article to this replacing the Gold or Plat, but no mention of the Green. Is that just an oversight ? I would like to cancel my Green and move to the free card. Presumably that would preserve my points, just as if I currently had a Gold or Plat card, but can someone please confirm ? What is the process for transferring ? Do I just apply for the free card and my Green card will be cancelled and the points transferred automatically, or is something more required (e.g. manual cancellation of Green card and pro-active request to transfer points) ? You only have 1 Membership Rewards account. Once you’ve got the new card and linked it to your existing Amex online account, you can happily cancel Green. Nothing is transferred. After 6 months can I rejoin Amex Platinum and still get the bonus? Yes, if you’ve not had ANY Membership Rewards card (Gold, Green, Amex Rewards) during that 6 months. Apologies for asking again. I am sure what I am about to ask has been covered in another post but I can’t find it. I am currently the main cardholder for the Rewards Gold credit card and my wife a supp card holder. If my wife is to apply for the Rewards Gold CC and add me as a supp card holder, will I still be able to keep my reward points even if I cancel my Rewards Gold CC? Your rewards are only attached to your card. Any spend on your sup to her account accrue points on her account. You cancel your account you lose your points. So I can get this card and get rid of my Platinum card without having to transfer the points somewhere else…. will I also get my joining bonus if I rejoin Amex Platinum in 6 months time? or will having this card prevent it?